It’s been a lovely break and if I am honest, the time has flown by! 10 months of enjoying the new addition to my little family has been wonderful. So much has happened in both my personal and business life, that I wanted to share the details. 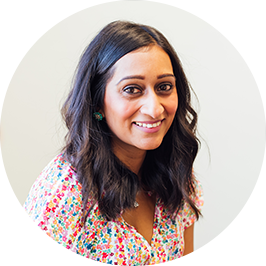 I have a few things lined up for the next few months, and there are going to be some exciting changes - Say HELLO to being a full time small business owner from 1st February 2019!! - I have some awesome projects in the works at the moment that I can’t wait to share the details on, one is a top secret project which my lips are sealed for at the moment. I also have a whole bunch of new blog posts about branding, design, Squarespace and business, AND I have plans to revamp my own brand and website (YAY!! ), but more on that later. For now, it’s fair to say I’ve been busy planning and learning so much stuff in the ungodly hour when I’m meant to be asleep, but that is where this post comes in. I wanted to share some insight on the lessons I learnt after going on maternity leave. Spoiler alert - I also have another post which shares the 3 things did to prepare my business for maternity leave - That will be in the next post so watch this space! So the ideal situation is to switch off, forget about the incoming emails, forget about work and just enjoy the new bundle of joy and the crazy life changes that come with it. Well, if only it was that easy. When you run your own business you can’t just “switch off”. I did quite a bit of planning and preparing (details in the next post) and even after that, I didn’t feel at ease. I felt guilty…. guilty for thinking about all the things I needed and wanted to achieve in my business, instead of enjoying those precious moments that I know I won’t get back. What’s worse is that this guilt made me feel even worse. As I said, I just couldn’t switch off. And, it doesn’t help when everyone around you likes to remind you to do that exact thing *eyeroll*. Obviously, they are doing/saying it to help, but trust me, in that precise moment, it doesn’t feel like it. So yea, lesson learnt: Switching off isn’t easy. So to help manage and balance my business whilst going on maternity leave, I looked into outsourcing some tasks. I figured I won’t have time to reply to those incoming emails or post regularly on Instagram, Facebook, Twitter, and LinkedIn, so the next best thing (I thought!) would be to delegate the task. The idea was fab, but because I have the same account for both my business and personal social media, I knew I would feel compelled to reply to any business related messages or posts, and ultimately, I wouldn’t be “taking a break”.. I’d be getting stuck into trying to keep up with work! Saying that, whilst merrily checking my Instagram feed I did manage to book an awesome client! Again, more on this soon! 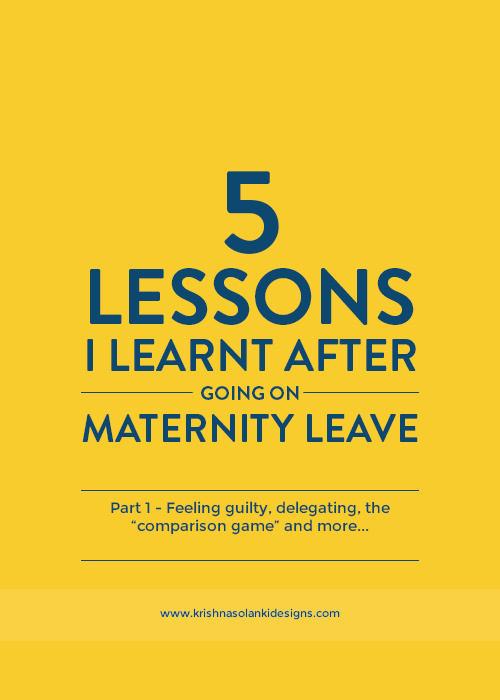 One of the biggest lessons I have learnt with regards to going on maternity leave is that it is SOOO EASY to get caught up into the “comparison game”. Social media can be so vile sometimes. In trying to “switch off” I managed to get my head stuck in a horrible place for a while and had a serious anxiety moment. If you follow me on Instagram you may have seen my Instagram story about this! It was raw, it was messy, and in all honesty, it made me feel like pants. BUT. There was sunshine after the rain. Because of my rant, I received so many kind thoughtful messages from people - some strangers, some business buddies, and some from family. As much as I may have felt “left behind” I learnt it’s ok. My time will come. I just need to stay positive, be present in the moment and not let anyone else’s “little square or grid” have such a major impact on my current situation. I am where I am and I shouldn’t put so much pressure on myself. It’s harder to find time for yourself when you’re on maternity leave or just after as it’s such a big life change. Being a mother of 2 now, literally means I need 8 arms. I need to be an octopus. Long story short, as my self-care plummeted and I found I wasn’t really doing anything for me at any point in the day and I learnt I needed to bring this back into my crazy routine. Even if it was as simple as taking 15 mins in the evening once both kids are asleep to lock myself in the bathroom (alone!) and do a mini facial. It’s important, and that is something I had to relearn. 5 | Enjoy the time! With a little help, a little planning and a whole lot of organising I can enjoy the time I have (and that means cuddles, snuggles and more with both kids, PLUS fitting in business work), and I can do everything. I can run my business and I can be present with my kids and family, and I can enjoy the time. As of now, I have an awesome business mentor - Thank you, Kelly Molson, I still can’t believe she (or you, if you're reading this!) agreed to be my mentor. I’ve already learnt so much and am looking forward to taking my business to new heights. I am calmer as I have a Plan, and I don’t feel like I need to do everything NOW. It’s ok to feel guilty and I shouldn’t be ashamed of it. I just need to learn to deal with it in my own way. After the rain, there is always sunshine. Everything is not always going to be rosy and flowery, and when things get bad it’s ok to be open and honest about them. Things will ultimately make you feel better and you never know, you may have more support behind you that you are aware of! I can have it all and that my idea of the perfect lifestyle (personal and business) is definitely not the norm, and that is ok. So, have you learnt any lessons after going on maternity leave? Or even on a sabbatical? How did you find you “balance”?